Climate change is difficult to talk about. The subject is complex. Denial is rampant. The scale of the problem is hard to grasp. And, while it is arguably the most important story of our time, it has a way of wearing people down. Rather than exhausting the topic, the topic exhausts us. We know this. So, we'd like to offer a new way to understand the speed at which our planet has changed over the past few hundred years. This project was brought to us by three UC Berkeley graduate students and a sonification artist. Chris Chafe, director of Stanford's Center for Computer Research in Music and Acoustics composed the piece of music based on data compiled by Hal Gordon, Kate Pennington and Valeri Vasquez at Berkeley. You'll hear global temperatures and the concentration of carbon dioxide in the atmosphere for the most recent three centuries in the graphic above. The music in our story below tracks global average temperature and CO2 from 850 A.D. to 2016. "A large part of what motivated us to think about sonifying CO2 and temperature data over time," says Pennington, "is that when you look at a graph of how these two things have moved together, you see very clearly that they track each other really closely. But it's hard to understand time when you see it all at once." Perhaps the pace of climate change can be better communicated through sound. "In all climate data you see it in a long chart with time that is way longer than human life time so it’s impossible to experience," says Gordon. "But when you sonify it you actually experience time in a way that you can't experience when you look at the chart." "As you hear in the piece that Chris has composed there's really not a lot happening for a really long time and it's kind of soothing," says Pennington. "We have a normal state of the world, and life has evolved relative to that normal state of the world." The piece of sound begins with a low drone, the tone of which represents the concentration of carbon dioxide during the Middle Ages. It is accompanied by a twangy ping-pong sound: global temperature averages. Starting in the 1700s, however, you begin to hear a change. The Industrial Revolution and widespread deforestation in Europe take hold. 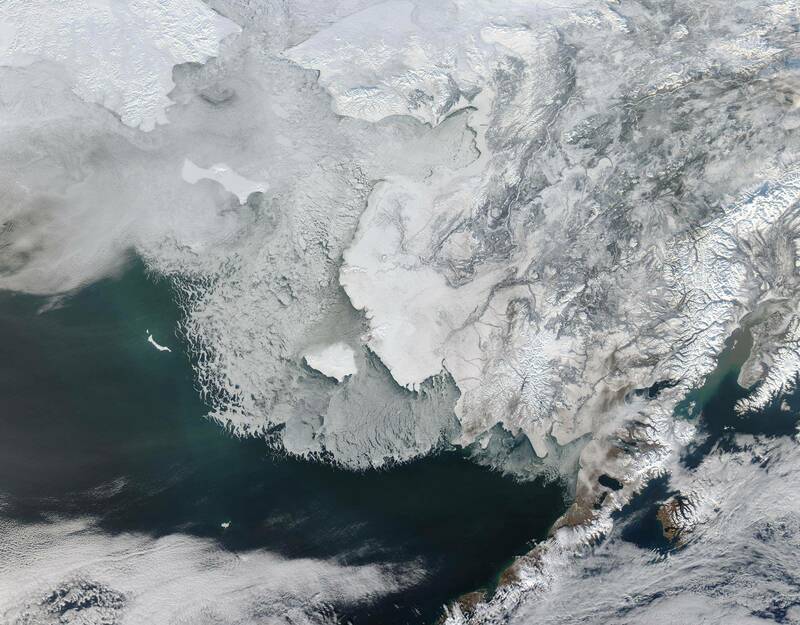 Carbon concentrations begin to creep up. Approaching the 1900s, the tone becomes a higher-pitched wail. The last few seconds of the piece sound like an alarm, the result of a meteoric rise in CO2 concentrations. "The whole concept that we’re trying to explain here is not a pleasant one, it’s actually a frightening one," says Vasquez. "So it might be really appropriate that it ends in this kind of ambulance sound." We're now living in a world that is about 1.5 degrees C above what it was before the Industrial Revolution (and about 1 degree above what it was in the first half of the 1900s). This could seem relatively minor change, but it indicates the Earth's balance has been disrupted. "My body temperature's 98.6. If I have a fever of 101, I would worry. If all the doctors tell me that my temperature's going to go up, I would be very worried," says Inez Fung, climate scientist at UC Berkeley. "If I have a temperature of 103, I know other organs are going to be influenced." This is manifesting itself in sea-level rise, extreme storms, prolonged droughts, deadly floods, wildfires and emerging diseases. 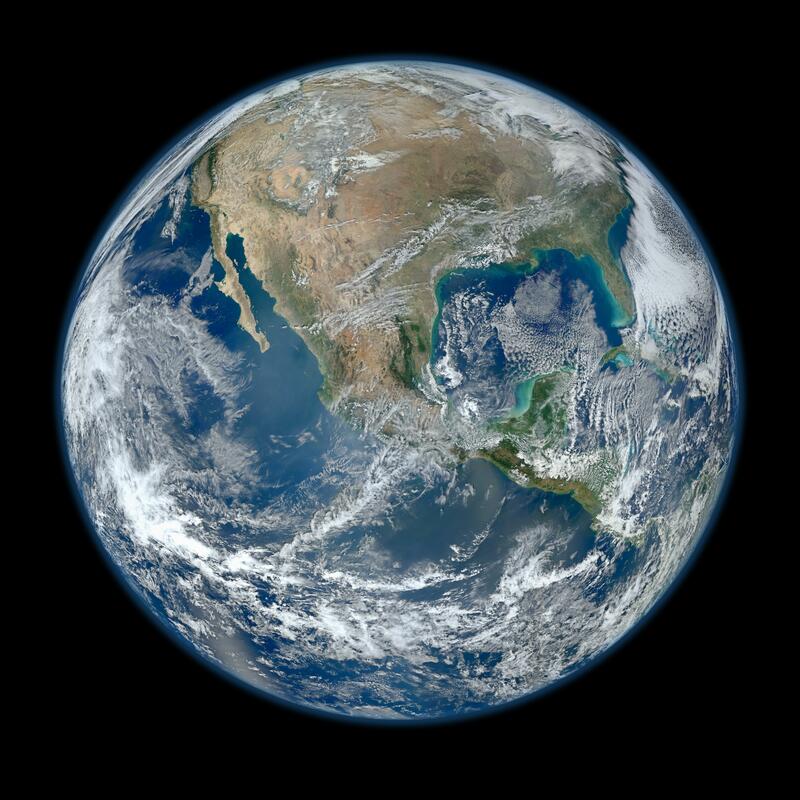 "The whole planet is adapted to a certain range," says Fung. "We're going into a range where, yes, we've seen higher CO2 before, but people have not been around." 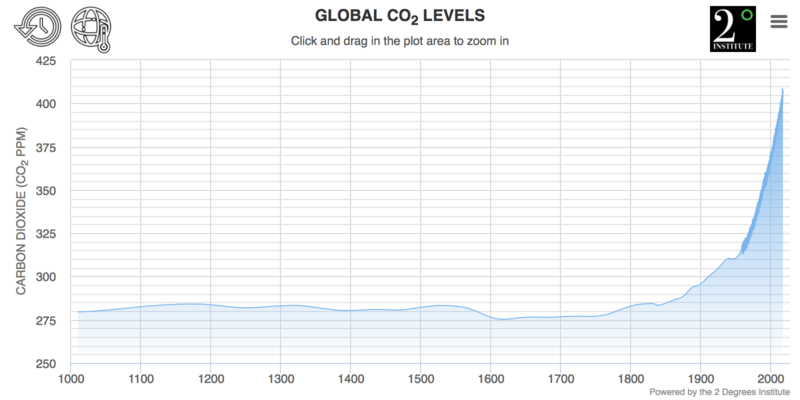 The last time the atmospheric CO2 concentration was as high at it is today was 3 million years ago. That's about the time of Australopithecus, the pre-human hominin species that Lucy comes from. We can study the ancient climate through a number of means. One is by analyzing ice cores. These cores hold trapped air bubbles going back thousands of years. 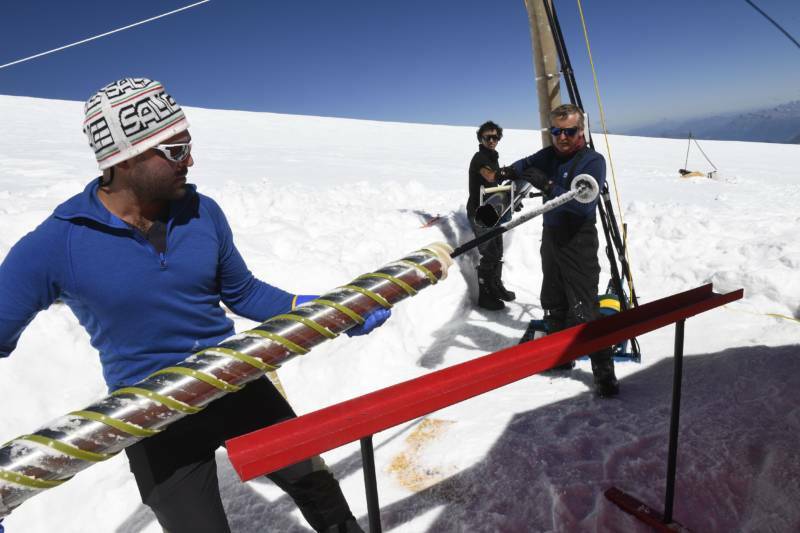 After drilling a core, researchers can melt down sections of the ice and capture the released air to measure the concentration of carbon dioxide (among other things). Temperature data can be reconstructed in part from tree rings and mud core samples from the bottoms of lakes. "We literally don’t know what will happen next," says Pennington. The aim of the Paris Climate Accord is to limit the rise in temperature to "well below" 2 degrees and, if possible, to 1.5 C, "recognizing that this would significantly reduce the risks and impacts of climate change." Last year President Trump announced he was withdrawing the U.S. from participation in the Paris Accord. However California, along with a number of states and cities around the world, have defiantly expressed commitment to the agreement. What happens next is "really sort of a pick-your-adventure choice" says Pennington, with all of us playing some role in the outcome. We, as a society, have the chance to choose what the future will sound like.